I have the most amazing news for YouTube Kids lovers!! You can now enjoy all of your favorite videos RIGHT on your VERY own TV. That’s right! All you need is a ChromeCast and that small device plugs into the back of your television. 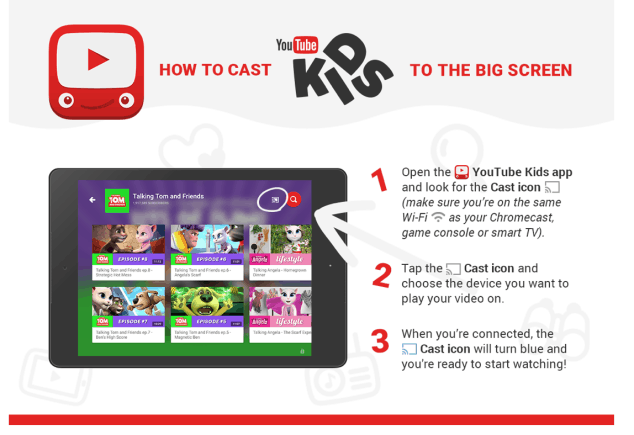 Once the device is plugged in, log into YouTube Kids and look out for the CAST ICON. Tap on it and choose the device you want to play your video on. Then sit back and enjoy! We can’t stop watching videos while on the couch. In fact – we watch all of the kids’ favorite playlists together. 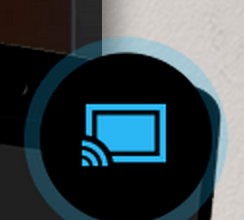 Do you use Chromecast? What do you think about it so far?! How about YouTube Kids? We cannot get enough!! I hope you’ve seen our Reading Playlist – it’s been up for a few weeks.